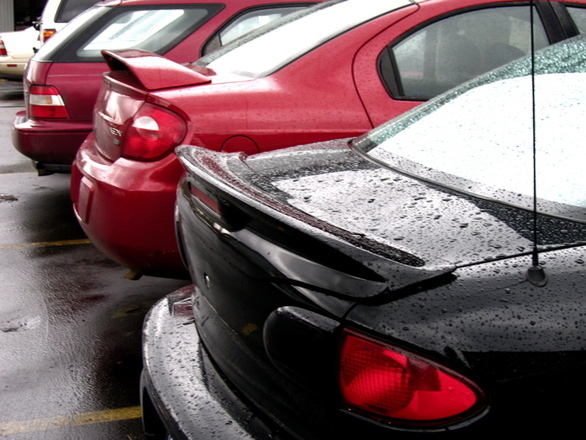 How is the Valuation of a Used Car Figured Out? We Buy All Cars in New Jersey prides itself on being extremely transparent and informative when evaluating a customer's car. We are very thorough throughout the process and encourage customer to ask any questions they may have. If you like to get an idea of what your car is currently worth, simply fill out our form (insert link to site) or give us a call at (856) 834-5558. A few of the major factors to consider when figuring out the value of your car are the year, make, model, condition of the body, mechanical condition, and miles of your vehicle. Body Style. This refers to how the car is constructed and often influences the price range and how it’s marketed to the public. Is your car a sedan, convertible, truck, wagon, coupe, SUV, crossover, hybrid, van, luxury or sports vehicle? Powertrain and Drivetrain. In a car, its powertrain refers to the components that generate the vehicle’s power, usually the engine and transmission. Powertrain is considered in valuation because as advancements are made in the automotive industry, powertrain systems continue to evolve in terms of better product quality, longer life expectancy of the vehicle, higher reliability, and can even affect the “look” of the car (i.e. flatness or waviness of its body). On the other hand, a car’s drivetrain refers to other parts of the car that are not the engine or transmission, like how the car drives (i.e. front-wheel, rear-wheel, or four-wheel drive). How well does the engine run? Can the vehicle pass inspection? Is is safe to operate? Does the vehicle have maintenance/service records? This can eliminate a lot of the “guesswork” about a used car. Do the tires have tread? Do they all match? When will they have to be replaced? Does the car have a clean title? If not, then the price will vary depending if the title is branded, salvage, or a flood title. Accessory Packages and Technology. If you don’t have all the latest bells and whistles on the car you want to sell, that’s actually a good thing! According to recent research, used car buyers are more unwilling to spend more money on high-value accessory packages and the newest technology. They tend to be costly to maintain and just not worth the maintenance for most people. Although more established technology, like navigation systems, boost the resale value of cars. What Sets We Buy All Cars in NJ Apart? At We Buy All Cars in New Jersey, customer service is key. For a quick on-the-spot quote, make an appointment on our calendar (live link) or with one of our representatives by calling (856) 834-5558 or scheduling an appointment. When you want to know the value of your used car, we can provide you with an instant price quote by filling out our form or calling a representative at (856) 834-5558. We work by appointment to make the process fast and easy. We know your time is important, so we will have you out the door with a check in hand within 30 minutes or less of your arrival. We provide excellent customer service face to face and do anything we can to help our customers. Read our Google Reviews to see for yourself! At We Buy All Cars in NJ, our experienced representatives are providing knowledgeable feedback about what your car is worth and answering any questions you may have.